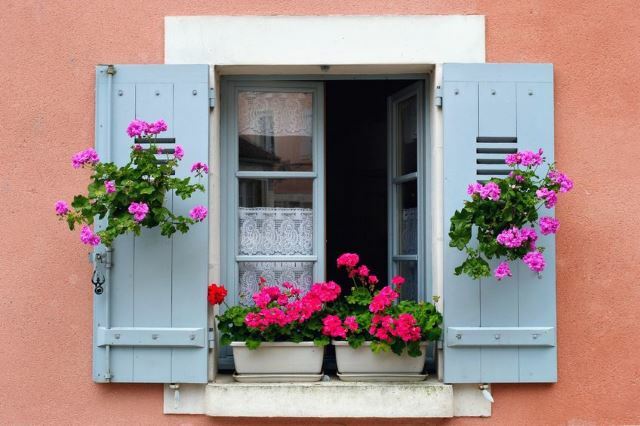 No matter where you live, whether you rent or own, or simply like to camp out all summer, flower boxes bring a pop of color and life to any space. Plus, they are fun, easy to personalize, simple to care for, and can easily fit into any budget. 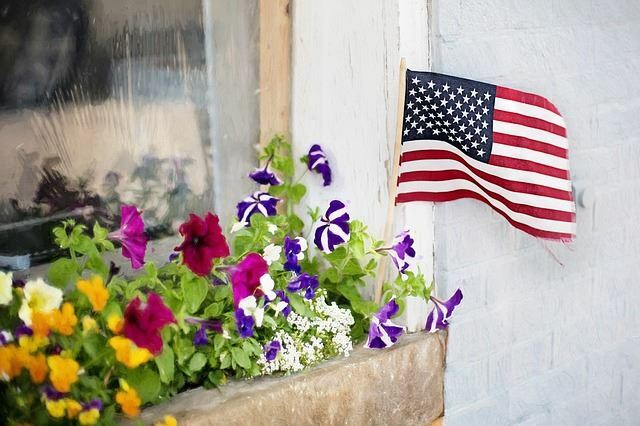 The have always enjoyed scoping out areas for flower box placement, and you can find them lining the steps of my porch, along the rails of my deck, and hanging from my backyard fence. 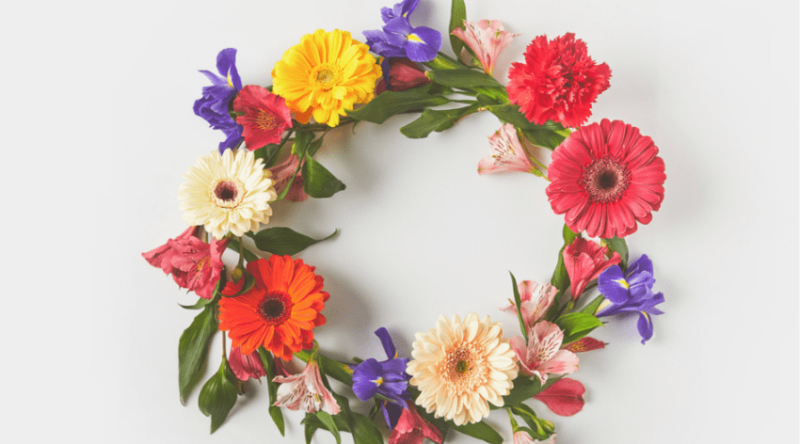 It’s also fun to change them according to the season with the addition of cooler weather flower choices (such as pansies) and winter evergreen branches. 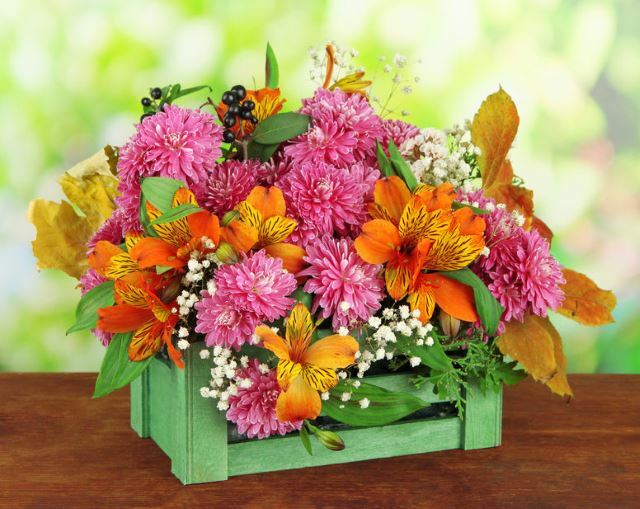 Flower box ideas are as widely interchangeable as the flowers that are available to fill them. So read on for some of our favorite picks! Simple architectural lines are brought to life with colorful wooden box flower arrangements. 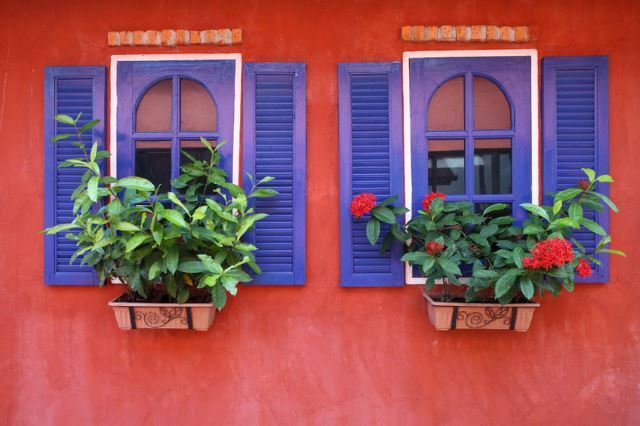 Choose a few complimentary colors to draw the eye and add interest to your windows. Choose windows on the upper stories as well for even more color. Dwarf evergreen shrubs with small conifers not only provide depth and height to your flower box, it also provides cold weather interset. Long after your annuals have died, and perennials have gone to ground, your evergreens will provide shape and color. Long flower boxes frame the the railings of the decking on this urban house front. Rich shades of pink and mauve bring out the rosy tones found in the building bricks. 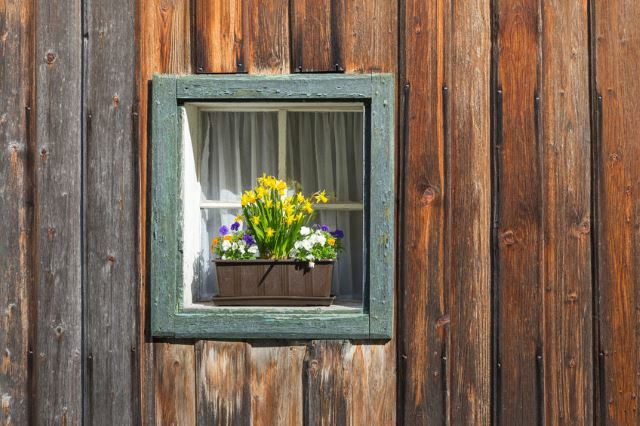 Old shed and barn windows may not always get the same attention as your house, but you can easily bring new life to an old facade with a simple window box and bright annual flower choices. 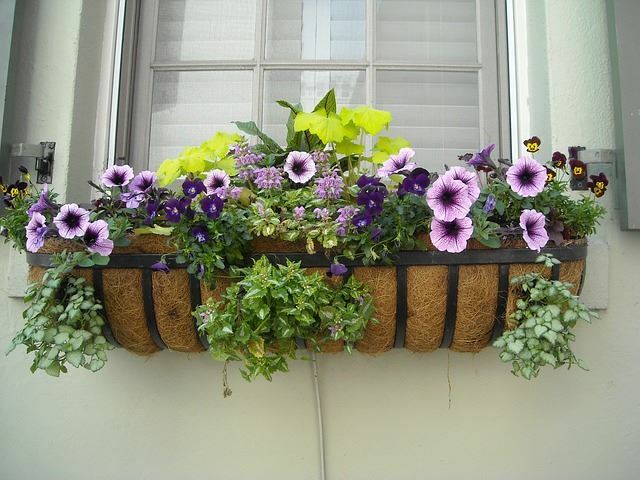 Allow your window box ideas to include colors that highlight door or trim choices. 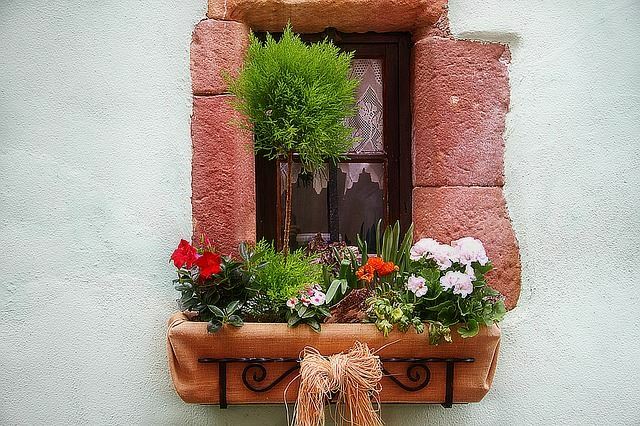 This window box uses only those colors found upon the house, and also mimics the surrounding gardens and additional plantings. 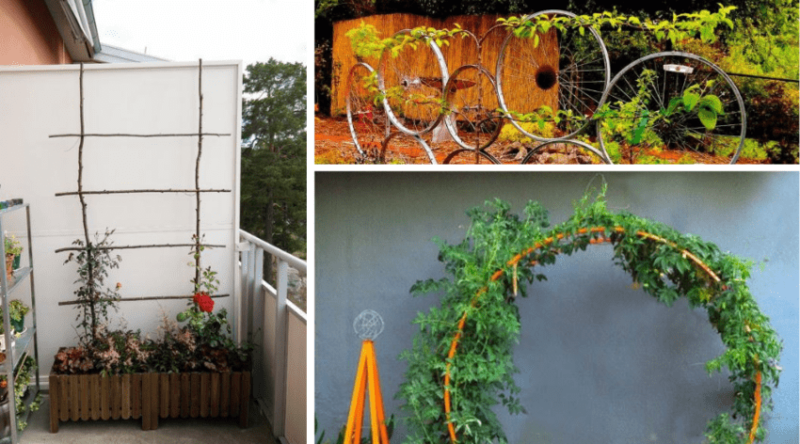 Get creative with unique ideas and create your own flower box. These wooden crates are easy to paint or stain, and also mount easily to almost any surface. Line them or place potted flowers within for a shadow box like effect. 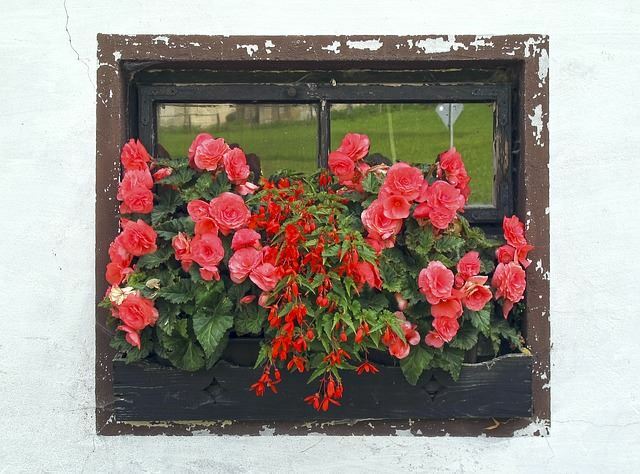 This simple shattered window provides a windowsill for temporary flower planters. 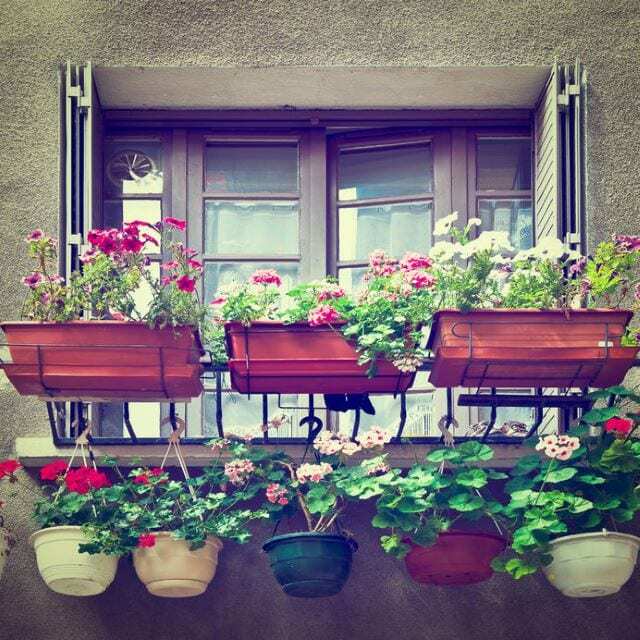 Trade out the space for seasonal picks, and use it for houseplants that can bring added interest to varying spaces in and around your house depending on the season. Pick your blooms to celebrate your favorite summer holidays. Splashy reds, whites, and striped blues can be found in the many varieties of wave petunias and summer annual picks you can either grow at home or buy from your favorite stores. Wrought iron window cages are best lined with coco liners that can be cut to hold additional plantings that seem to defy gravity. 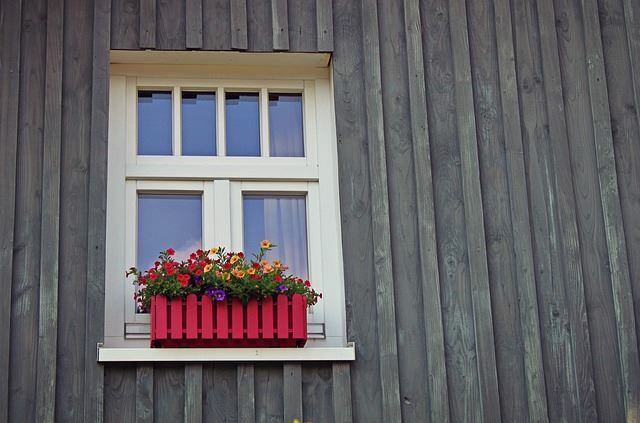 Choose quick growing, vining type annuals to provide a spill of color to your window areas. More on window box liners here. 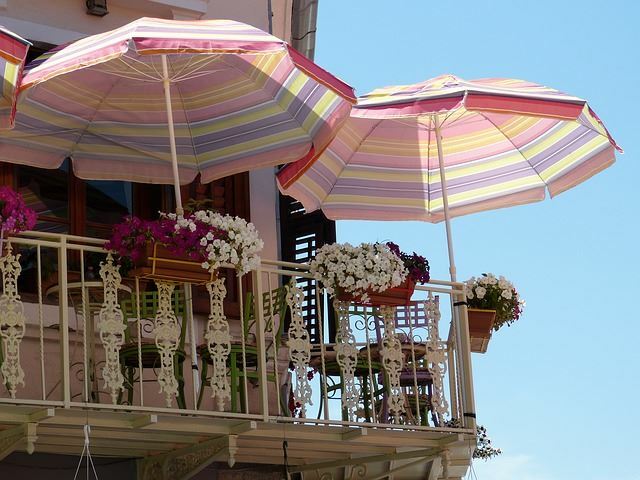 Mix and match your flower boxes and plant choices to give a layered effect upon your terraces and decking rails. Draping greenery provides the perfect backdrop to make the colors you pick create a bold statement. 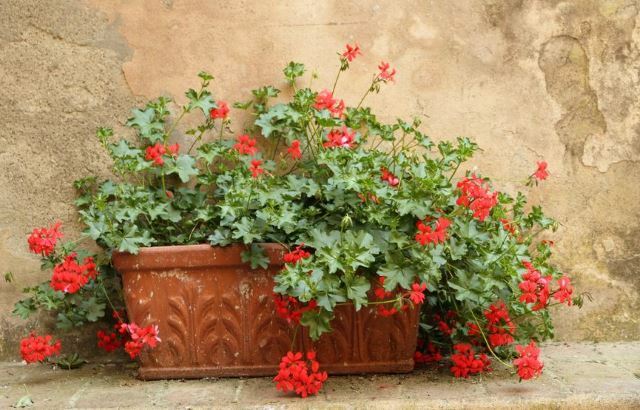 Geraniums are loved by gardeners all over the world due to their continuous, large, bright, showy blooms. They serve as the perfect stand alone with their bright green leaves and quick growth habit. Plus, if you so wish you can overwinter them for a pop of color year round! 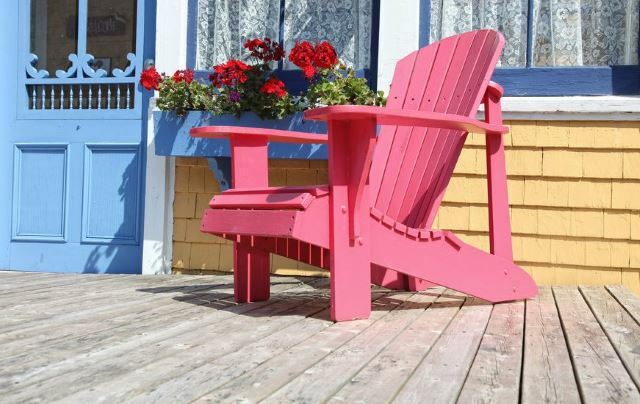 These perfectly spaced box planters provide a cheerful path along a deck rail top. Line up long rectangular boxes of various sizes and plant a uniform flower garden to brighten up any outdoor living space. Flower boxes aren’t just for flowers, especially when the weather isn’t in agreement. Wooden box ideas include holiday decorations, rustic additions, and a showcase for your favorite items and wares, for visiting guests to gaze upon. 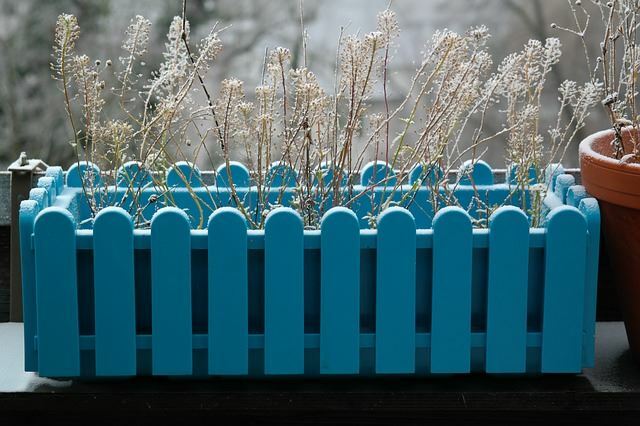 You don’t need to invest in cold weather vegetation for flower box interest once the weather turns cold. Seek out sturdy grasses and strong flower stems to stick in your boxes to keep them from looking empty. 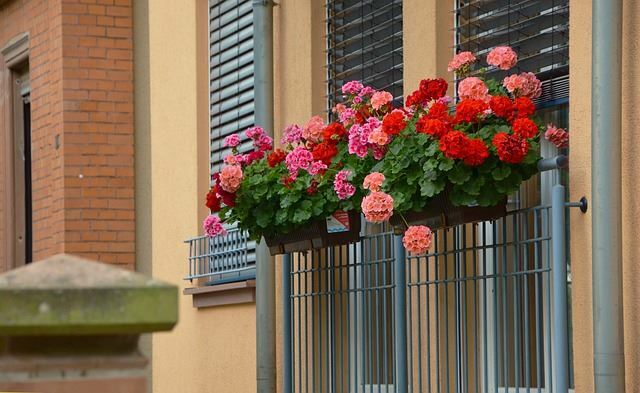 Flower box frames that you can hang from any type of railing are a popular choice to use with your existing planters, or with fun, creative accessories. 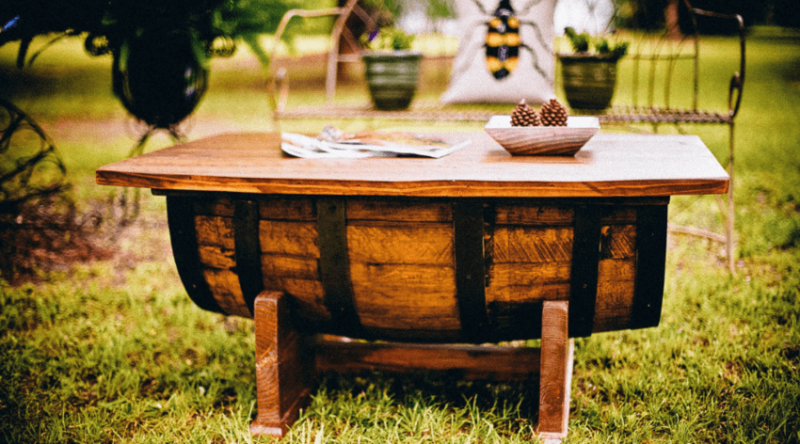 These sturdy choices are also often made with long lasting materials which can save you some cash in the long run. Using framed planter holders is a versatile choice for all your outdoor sitting areas. 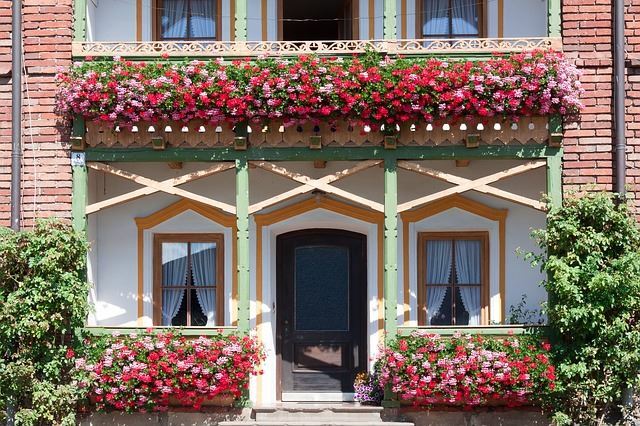 This second story veranda is lined with flower boxes overflowing with summer bright annuals for visiting guests to enjoy. 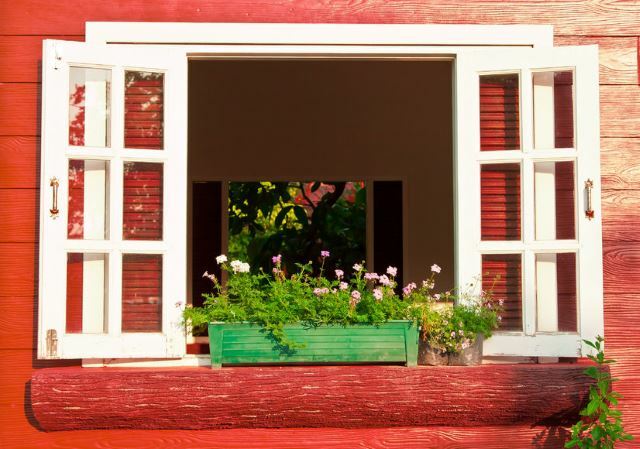 Extend your gardens to include a touch of floral elegance to your garden shed. Pink geraniums and delicate purple blooms complete the welcoming garden room look this provides. 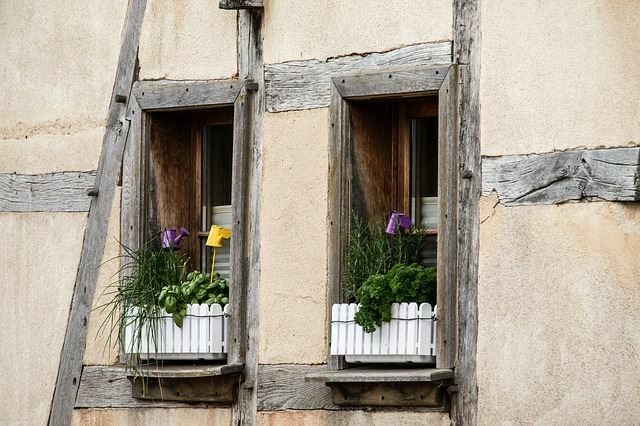 For various reasons you may choose to have potted gardens, Whether for simplicity or necessity, don’t forget the addition of window boxes to help provide height and interest to the entire planting space. Faux terraces are popular in some architecture, and even though you may not be able to lounge upon them, you can still enjoy what space they do bring. 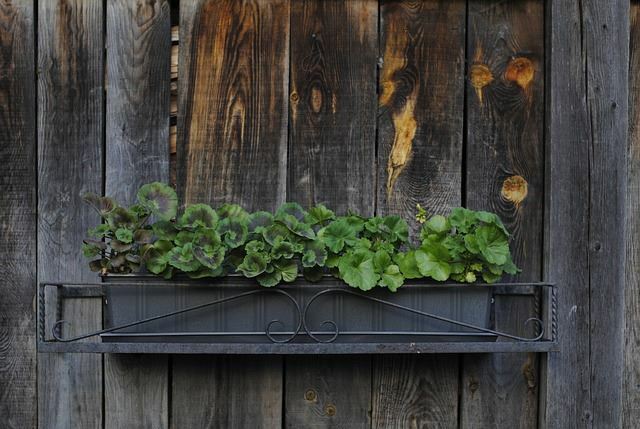 Take advantage of the ledges provided and place your own planter boxes or pots for some fun, unexpected greenery. Recessed ledge are the perfect resting place for some happy blossoms. 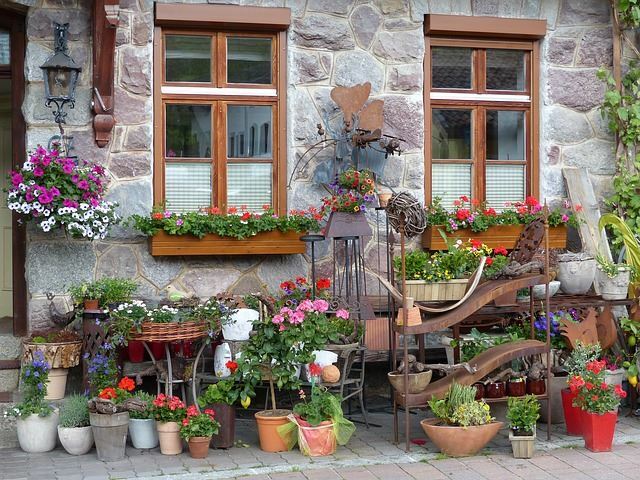 Whether indoors or out, find yourself a decorative flower box to fill with anything that blooms. These are also awesome areas for forcing bulbs. Flower boxes aren’t just for window placement. 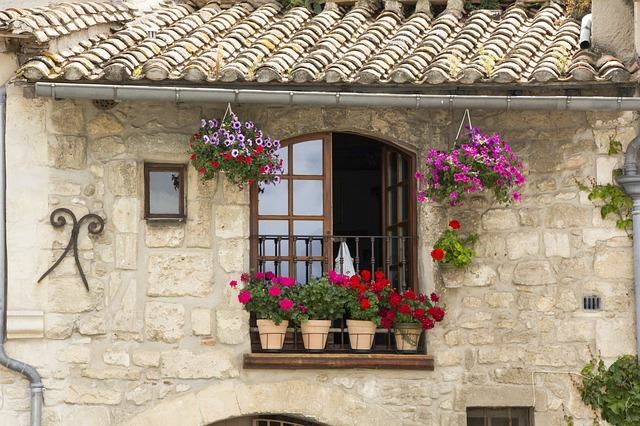 They hang perfectly well along retaining walls, brick or stone, and especially well upon fences. 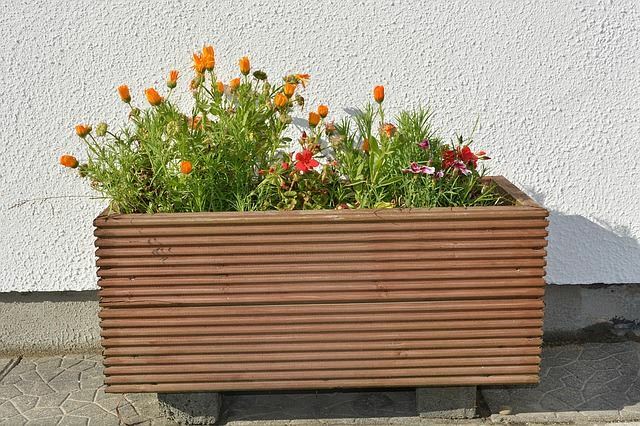 You also create a bit of the unexpected when planting your garden along a flat surface, such as with this flower box that blends perfectly with the wooden fence it is hung upon. You don’t have to spend a lot of money on the box you want, or even settle with a limited choice of styles. 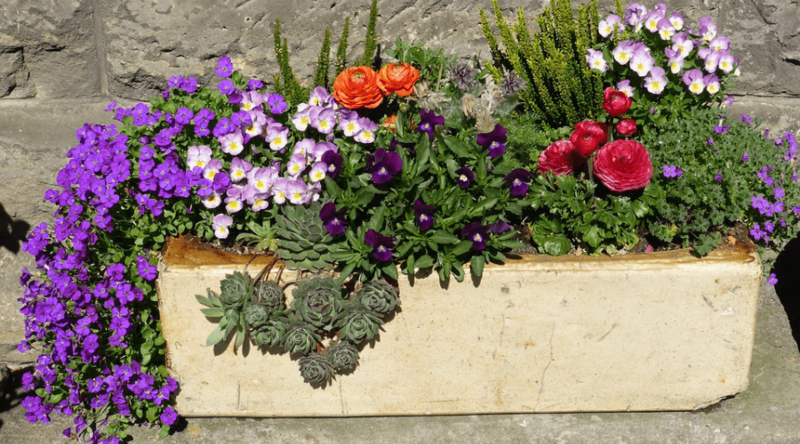 Wrapping an inexpensive planting box to fit within a flower box frame is a perfect match solution, and can be changed to fit your decorative needs. 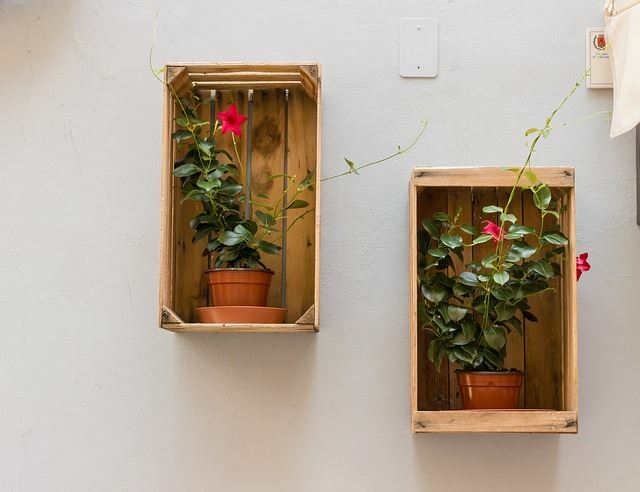 Match your simple planters and potting choices to create simple symmetry as in this design against an open house wall. Material and texture choices round out this rustic look for pleasing eye appeal. 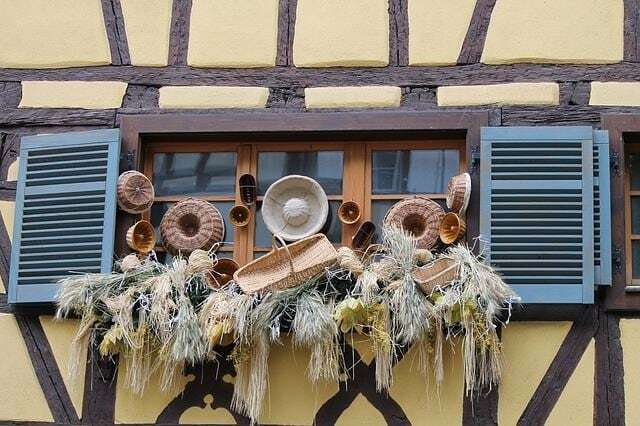 Flower boxes can take on many design, shapes and styles. 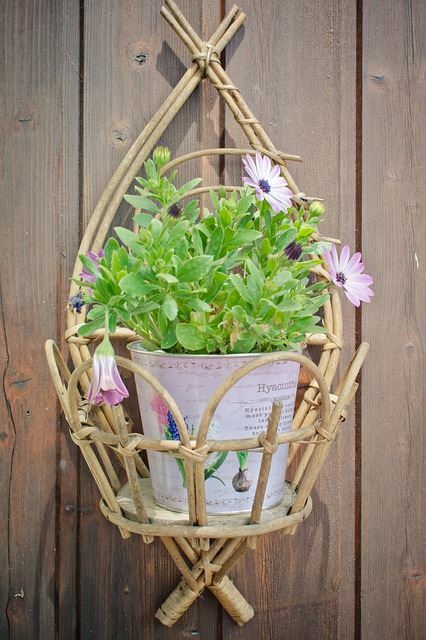 Although not traditional in nature, this idea mimics more of a hanging basket for your floral choices. 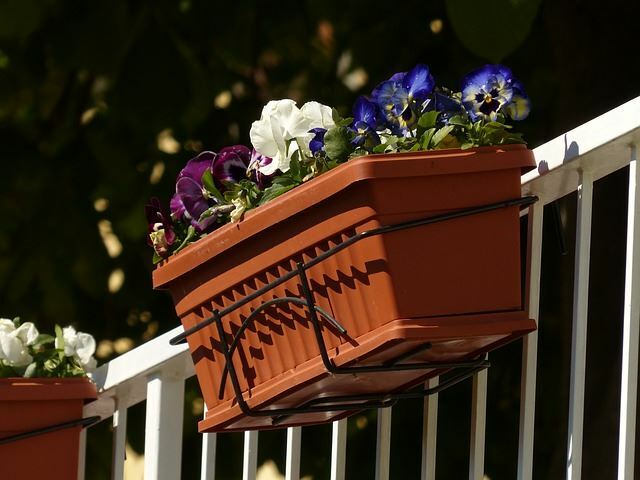 Plus it provides a sturdy support for either flower pots or plantings. This pretty little box sits slightly above the ground for proper water drainage, and provides a touch of color against an otherwise plain walkway. Boxes are the perfect choice because they can be placed in almost any spot. 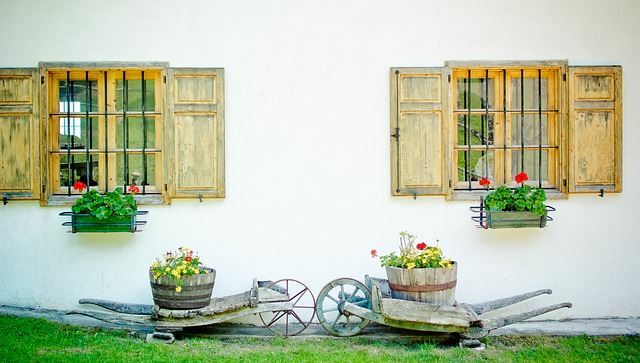 Wooden crates are a popular storage solution in many homes, but with a little bit of protective paint, serves this purpose in the outdoors as well. Stacking crates in various combinations provides a unique look for your yard. Terracotta isn’t only reserved for traditional round pots. Square and rectangular box shapes are also available in this durable, long lasting material. 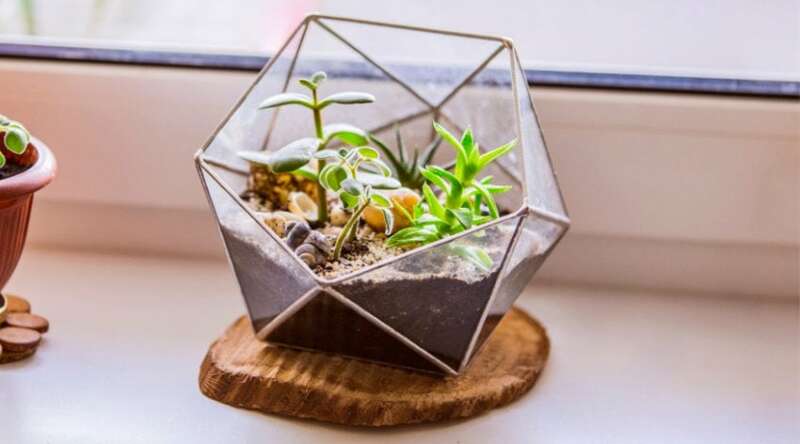 Popular due to their unique coloration and wear over time, clay boxes match any decor and provide the perfect receptacle for any planting choice. Interesting pops of color deserve more of the same. Bold blue and yellow provide the perfect cottage window box decor on this eclectic island home. Be sure to use complimentary colors that provide contrast for more appeal. 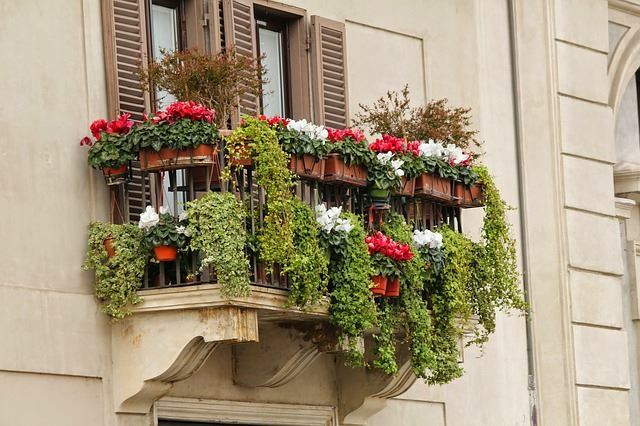 Shallow flower boxes may require a bot more watering care to keep them from drying out, but they also provide a place to grow draping, delicate annuals such as these that look as if they come from the veranda railing itself. Like #23, you can wrap your boxes to match any season and any decor. Use fun ribbons and burlap to provide contrast and even more color in contrast to your flower choices. Heavy Iron planters are tempered by a magnificent living bouquet that provides bold lines and textures, as well as a plethora of all summer blooms. Deep purples and reds are the perfect contrast against bright yellows and oranges for perfect eye appeal. Straight lines form more than a place to rest your legs. 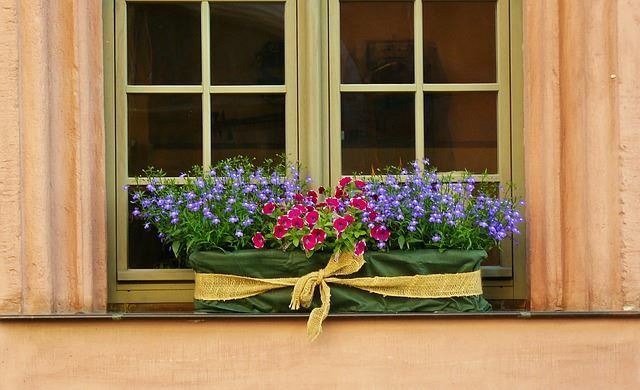 This pairing provides a perfect balance for a cheerful flower box against a pub window within which summary geraniums and pansies continuously bloom. 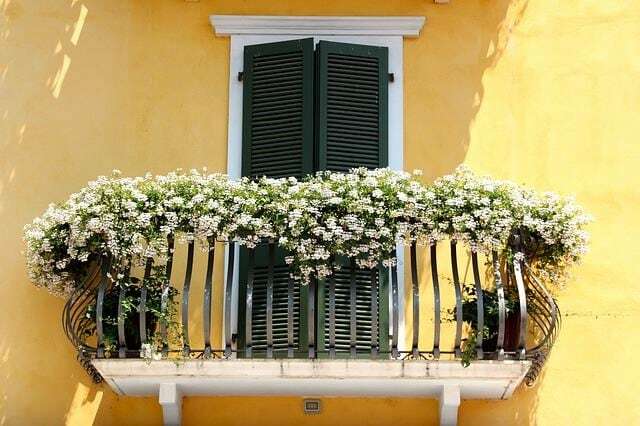 Don’t neglect the spaces surrounding your window box placements. 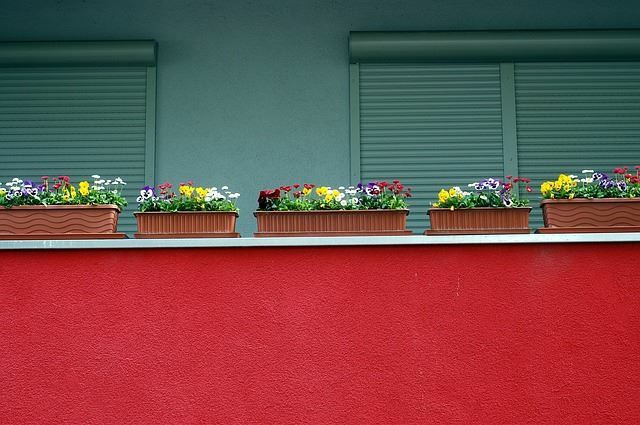 Shutters are the perfect spot for additional, small flower box mountings to help add additional color and depth. 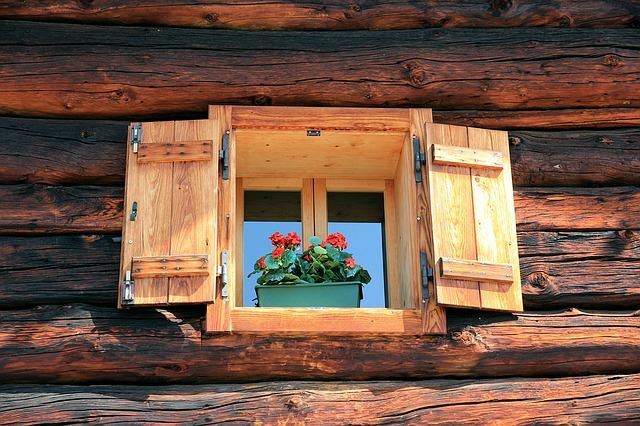 This rustic cabin shines even brighter in its rural location due to a happy collection of delicate summer flowers. 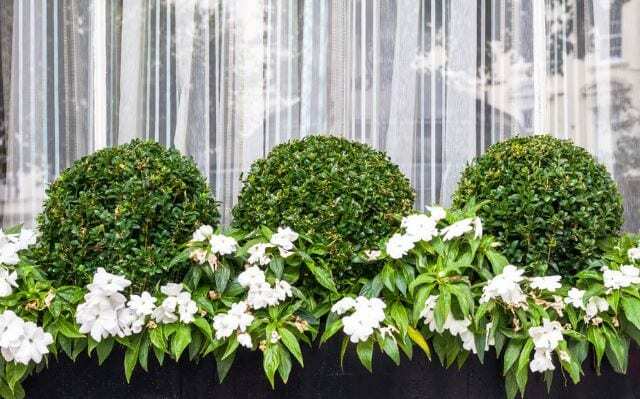 Choose simple, light colored vegetation against bold colors for a contrast your neighbors cannot miss. 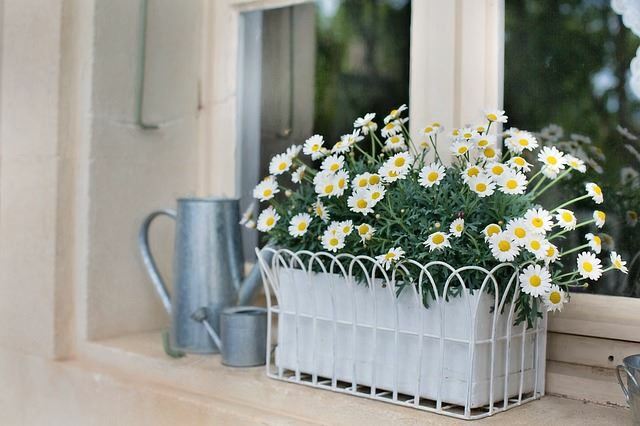 Iron box frames are the perfect place for rows of pots to take up residence. This unexpected look is unique and eclectic, and allows for an abundance of large, bright blooms. Even windows that provide little in the way of space for a box can have one added for simple, dried floral arrangements. Even if you have areas that are hard to reach, consider these types of choices that bring a personal touch to your home. 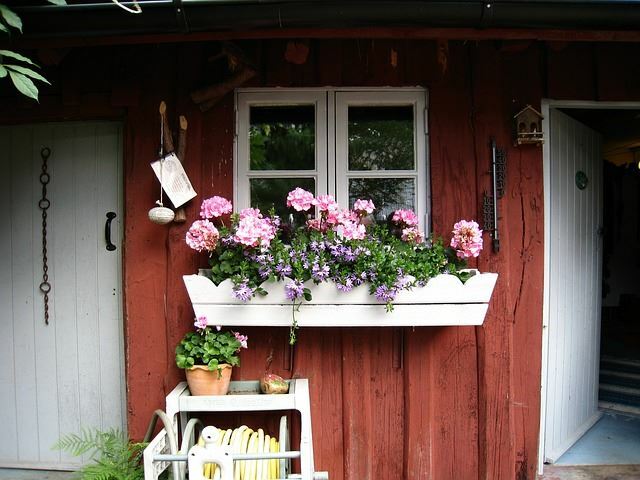 There is always room for a flower box planter of some sort no matter where you live. If you haven’t considered one before, then I hope you are considering! 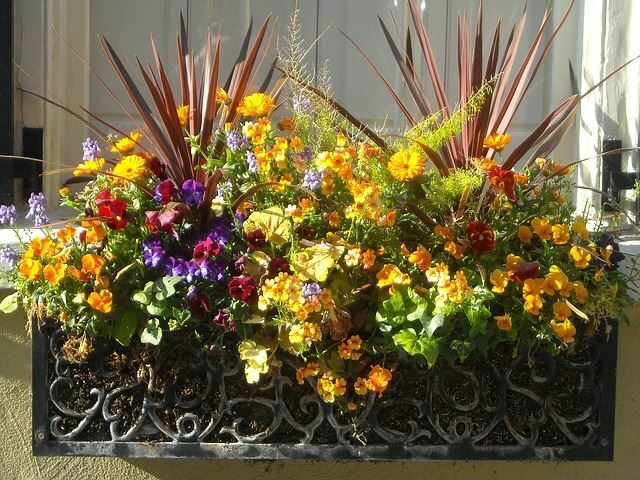 Box planters bring color and shape and require very little maintenance once they are planted. 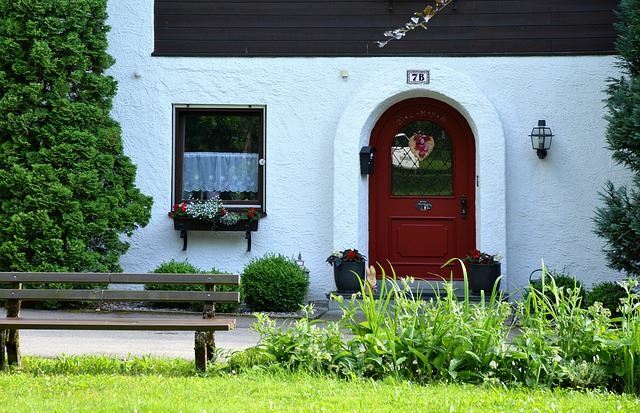 Hopefully the above ideas have provided you with some inspiration of your own, and we would love to hear about how you have applied it to your own home below! Which idea did you love best? Your questions and comments are welcome, and as always, please share! 49 of the Best Winter Plant Ideas: #27 is Perfect!